What a great reason to come to Ann Arbor! Shakespeare set in the beautiful backdrop of the Arb. Audience moves from scene to scene! 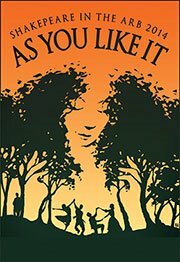 "As You Like It" this year. Its brief run is this weekend and next. Tickets available at the box offic...e at 5:30 pm; performance at 6:30 pm Thursday - Sunday. Great fun!